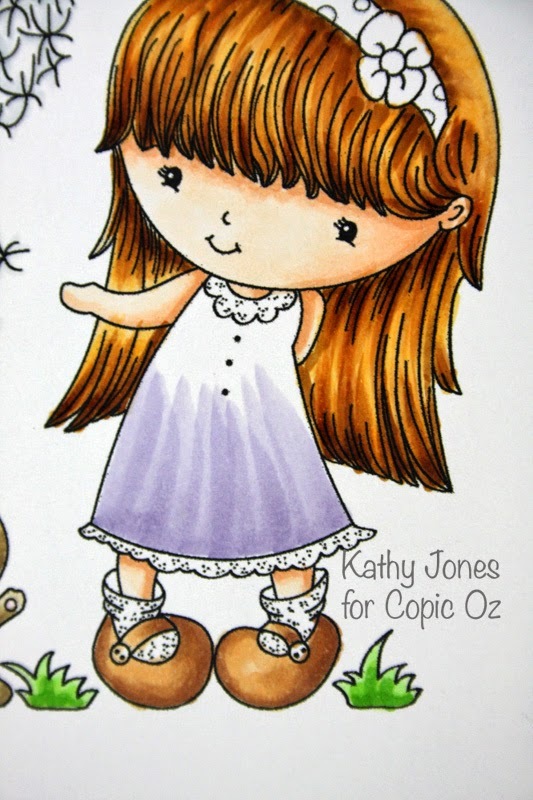 Hello Everyone and welcome back to another Copic Oz Tutorial!! 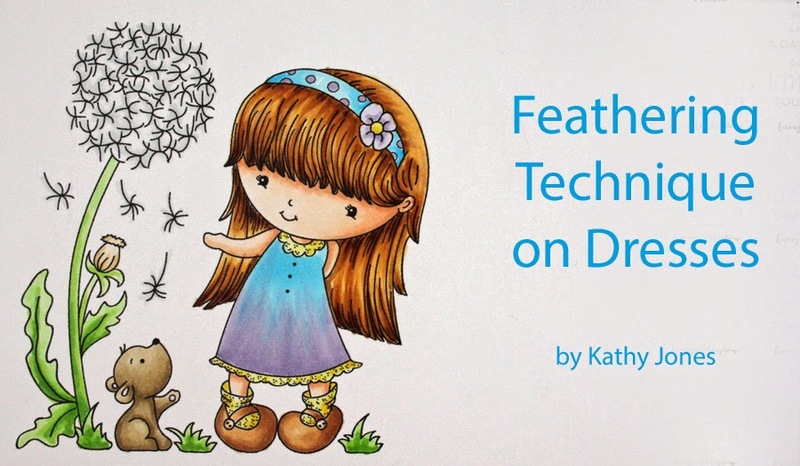 Today I'm taking a look at the Feathering Technique and showing a few combinations to try yourself! Feathering is a technique that's perfect for those times when you want to use two colours from two completely different colour families and need them to blend. Think of fairy wings, dresses, irises, pansies, frangipani's.....any time that two different colours need to blend or merge into each other when the traditional blending techniques won't work. The ONE important thing you need to remember is that no matter whether you are using purple, blue, yellow green or any combination; when you look at the number on your Copic Marker, the number needs to END in a 0, 1 or 2! 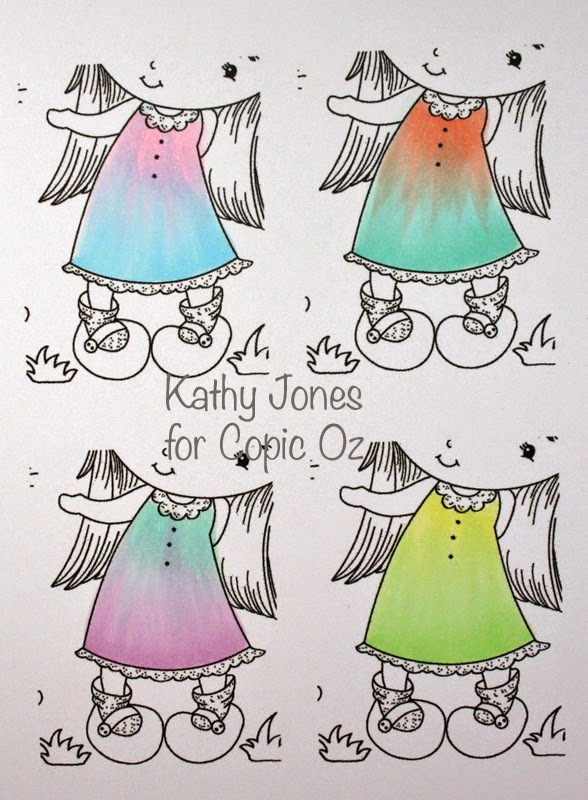 The reason you need to use a light colour is so the colours that feather out will blend, very dark colours do not work. Let's start at the beginning - take a piece of X-press It Blending Card, a Copic Multiliner and two Copic Markers from different families, I'm using B01 and BV11. 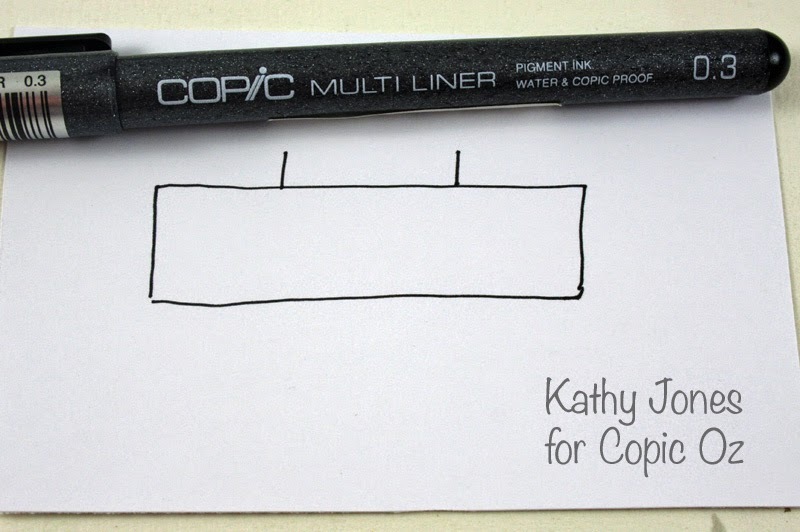 Draw a rectangle with your Multiliner and then place a mark at the one third and two third points. 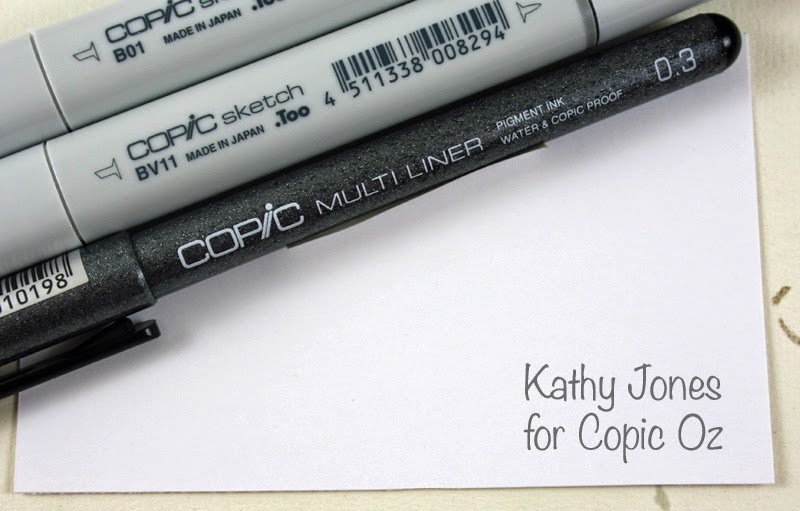 Multiliners are great to use with Copics as they will not bleed or react with the alcohol in the markers. Take your first maker (which ever you prefer) and place it on one edge and flick it toward the two third mark, lifting as you go. It's like a flicking/sweeping action and should leave a trailing edge. I've used BV11 first. Notice how it is darker on the side where you place the marker to the paper and a lighter, trailing edge as the marker is lifted from the paper. Repeat to fill in the box. Next, take your other marker (in this case B01) and do the same thing from the other side. If you don't feel comfortable doing the feathering from the other direction, just turn the page and repeat the previous step to achieve the same result. Remember, the trick is to use the SIDE of your brush nib, not the tip! If you are getting a stripey effect, it's is probably because you are using the tip. Look at the bottom of this picture to see the differences. The first 'flick' is using the SIDE of the brush nib, the bottom one is using the TIP - this will not allow your colours to blend and you'll get a stripey effect. So, let's transfer this technique onto a stamped image. 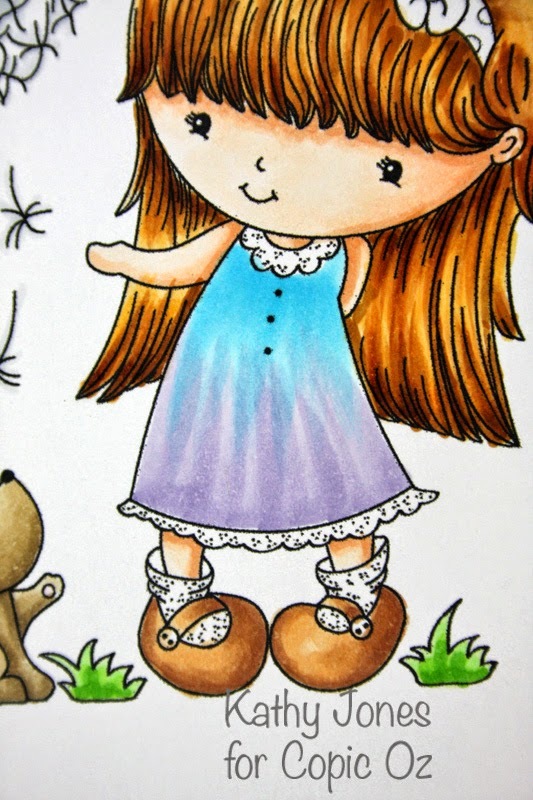 To demonstrate with, I'm using this sweet CandiBeans image called Penny's Dandelion Shower - her dress is perfect to use with this technique! Once again, I've started with BV11. Next use B01 and feather from the top down. 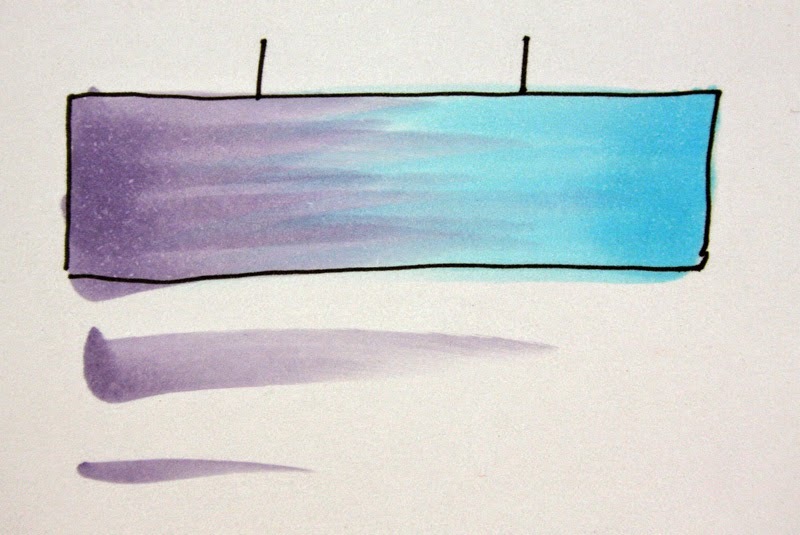 Purple and Blue might not be your favourite colour combinations, so I've done a few other samples to give you some ideas - just remember, your colours should always finish in 0, 1, or 2. Finish colouring your image and create your card!